Review: Everything about the show is so great. The fact that the contestants have no professional training makes it very relatable to the common person. The host is hilarious and you can tell she is funny on her own without having to read a cue card. Each episode they have a guest judge on the first one is a little old lady and she talks about how the fact that the contestants haven’t bribed the judges with the vodka that Theyre using for cake pops means they’re cheap and prude. Who doesn’t love a grandma calling people prude for not giving her vodka LOL Even though these contestants have no idea what they are doing, I am still learning from the show, Because as they do things wrong the judges explain how to do it right and they even come up with a little advice tips on the screen throughout the show. This is the funniest show I’ve seen in a long time, and I’ve watched a lot of stand-ups on Netflix! This show has me dying and my chest hurting from all the laughter, and I hate baking shows! This is a great new twist on food themed shows. It’s so engaging and has you at the edge of your seat yelling at the contestants as they do they simplest of things wrong. 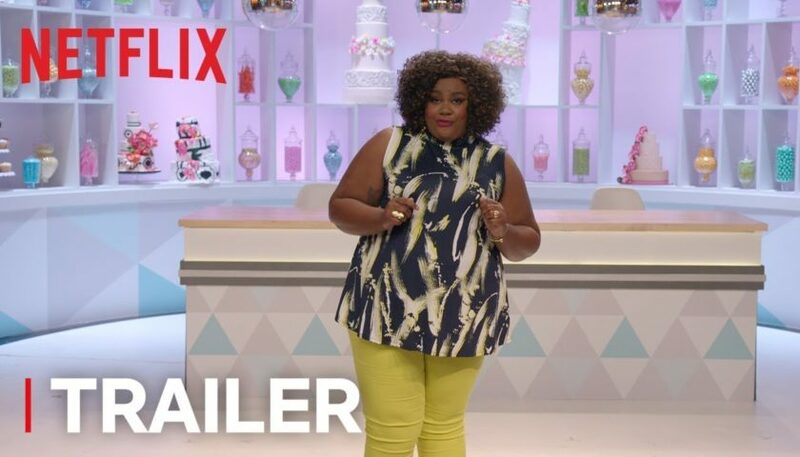 Watch the episodes in order, because each episode is funnier than the last, and host Nicole Byer makes the show! I thought she was funny on GirlCode, but she’s hysterical here. She’s not afraid to say what everyone at home is thinking, but she’s seldom rude about it and very encouraging. I wouldn’t say that this show helps its contestants become better bakers, but I can definitely say that it made me want to get into the kitchen and try to master these complex pastries. I would love it if this show would post its recipes, and the only downfall of this show is how few episodes there are. Keep doing what you’re doing Ms. Byer! I haven’t laughed so hard in almost a decade!